One of the great contradictions of our culture is that, while we are supposedly more overweight than ever before, we are also more obsessed with diet and fitness than in any other point in history. Fitness centers across the country capitalize on this fixation, resulting in overpriced gyms that care more about their bottom dollar than the wellness of their clientele. I suppose these companies can’t be faulted for wanting to make a profit, but I would rather not shell out hundreds of dollars each year for the use of their facilities. 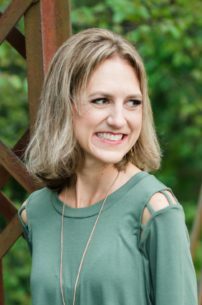 I realize that gym membership is not a requirement for a healthy lifestyle: there are plenty of other ways stay active, and when my membership to 24 Hour Fitness expired earlier this year, I took advantage of those non-gym options. But I found myself missing the gym (especially the whole “working out with free air conditioning” thing) so when I heard about Crunch, I thought I’d check it out. 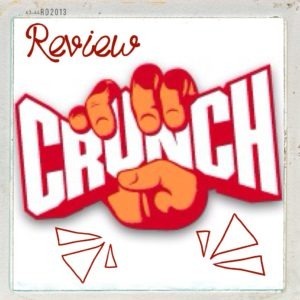 Crunch began in 1989 in the basement of a New York aerobics studio. 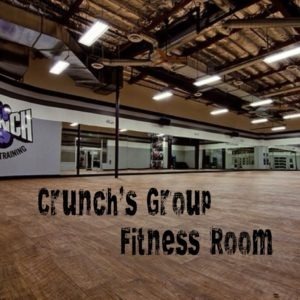 Since then, Crunch has made it their mission to offer a fun fitness experience with the philosophy of No Judgments. The main draw for me was the price: their cheapest package is only $9.95/month! 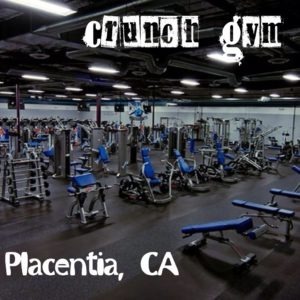 After touring the Placentia facility, I saw that there was much to love about Crunch, and immediately signed up. I have been working out at Crunch for almost two months now and have been very satisfied! + THE PRICE. Crunch has a couple of different membership plans. The peak plan costs $19.95/month and includes guest privileges, tanning booth and Hydromassage use, and access to all other Crunch locations. While still cheaper than most other gyms, this was more than I was willing to pay. However, the base plan is only $9.95/month and includes access to all of the equipment and classes, which is plenty for me. I am on the month-to-month plan, so there is no long-term commitment, though I’m sure I could have saved some money in the long run if I had signed up for the annual plan. I did feel a bit misled when I was charged an annual equipment fee (usually $35 due in January, but I paid $25 because I signed up mid-year). This is only charged once/year, though, so after the first month, my monthly payment is truly only $9.95. + THE EQUIPMENT. There are plenty of cardio machines of all types – treadmills, ellipticals, stair climbers, stationary bikes, etc. – and multiples of each type of machine so that there is never a wait. There is also a variety of weight machines and free weights. All of the equipment is clean and well-maintained. Most of the cardio equipment has head phone jacks (for the televisions), and some even have iPhone charging docks! + THE CLASSES. There are several classes offered each day, ranging from Zumba and Pilates to Bootcamp and old-school Aerobics classes. I love that many of the classes are only 30 minutes, so they are not a huge commitment. The instructors in the classes I’ve tried have all been super helpful and appear to be well-qualified (at least to the untrained eye of this fitness class newbie). The no-judgments philosophy is clearly apparent in these classes, where people of all ages, sizes, and fitness levels are welcome. + THE FACILITY/FLOORPLAN. I was skeptical of this at first, based on the rather nondescript exterior, but the inside of the gym has a great open layout. There is plenty of space to maneuver between machines, and the group fitness room were classes are held is spacious and, thanks to a huge ceiling fan, very cool. All of the equipment is clean and well-maintained, as is the locker room. + CLASS SCHEDULE. As I already mentioned, I’ve really been enjoying Crunch’s class offerings. I only wish there were more classes offered throughout the day. On most days there are classes taking place between 8:30 and 10:30 in the morning, and again from 5:30-8:30 in the evening, with fewer offerings on the weekend. I would love if there were classes offered in the afternoons as well. + POSSIBLE PRICE HIKES. I noticed that the membership fees currently posted online are higher than what I paid. I understand that some fluctuation is inevitable, but I worry that Crunch is currently luring members with their low fees, with plans to raise prices in the future. In spite of these drawbacks, I have been pleased with my Crunch experience so far. It’s nice to see a fitness center that seems to be doing things right!